It has round smooth edges for safe handling. Built in it are 12 catchy nursery rhymes that get children into a cheerful mood. 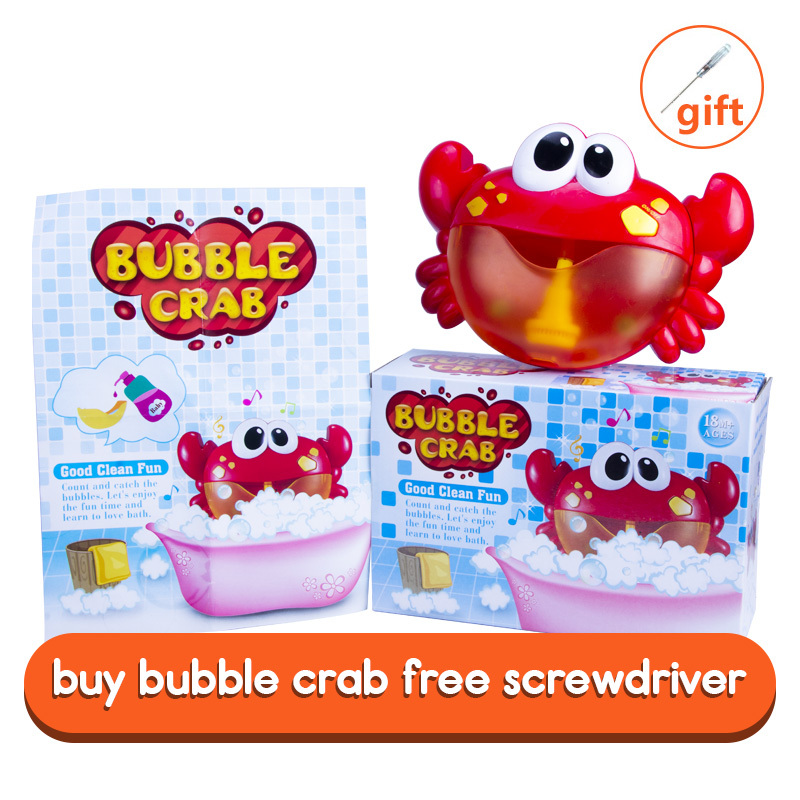 It can emit a continuous stream of colorful bubbles to keep your children entertained and amused. 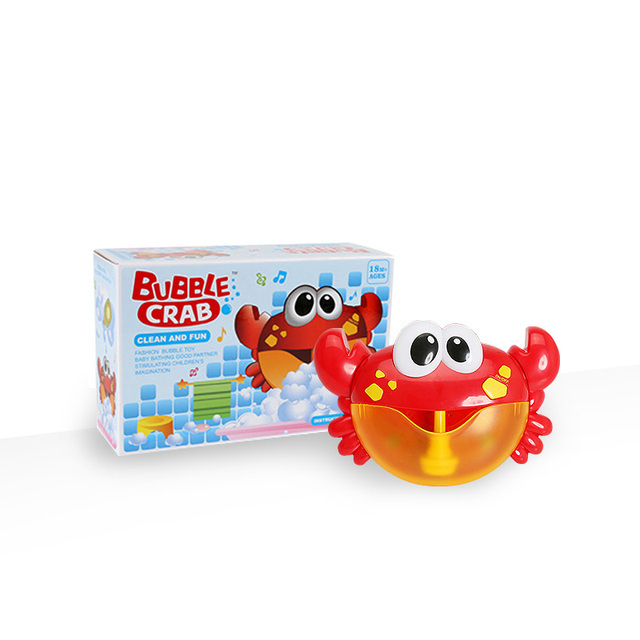 Made of eco-friendly ABS material — non-toxic, wear-resistant, sturdy and durable. 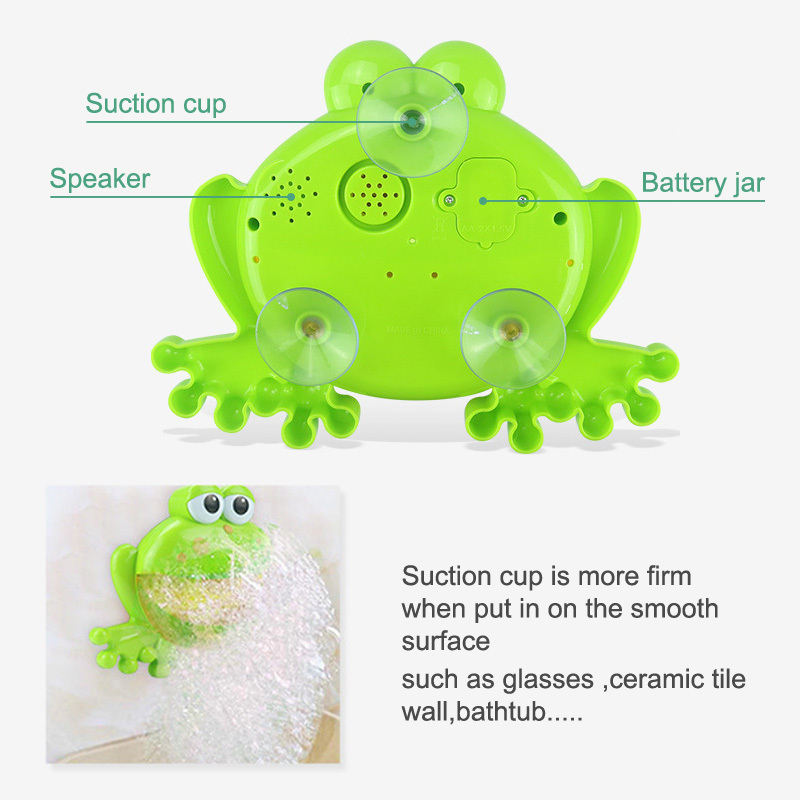 Can be firmly fixed in a bathtub or on a bathroom wall by the 3 suction cups on the back of it . 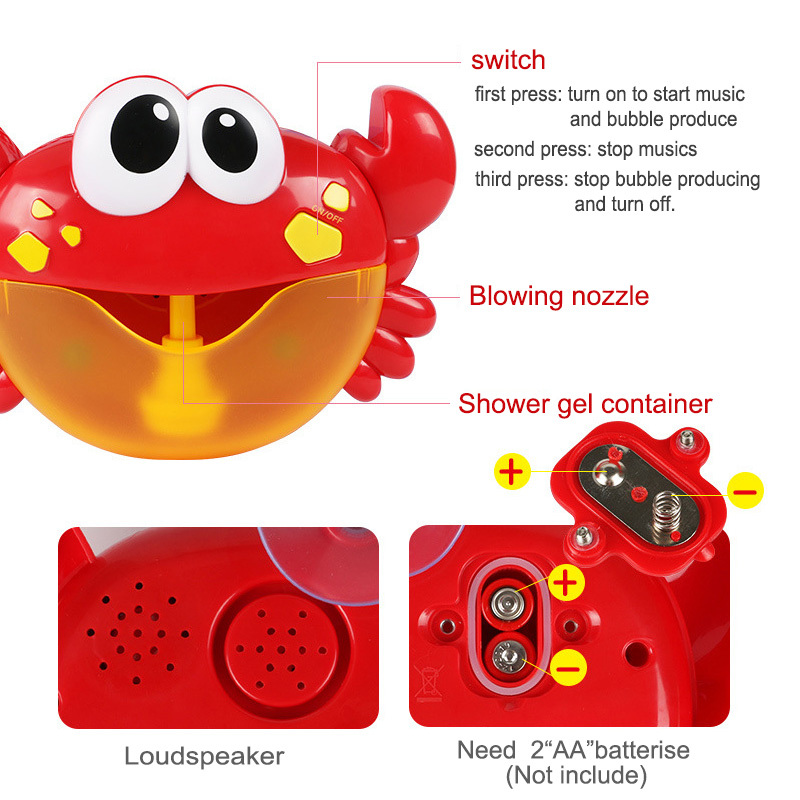 Easy to operate — simply pour shower gel solution into the reservoir and press the button to generate bubbles. 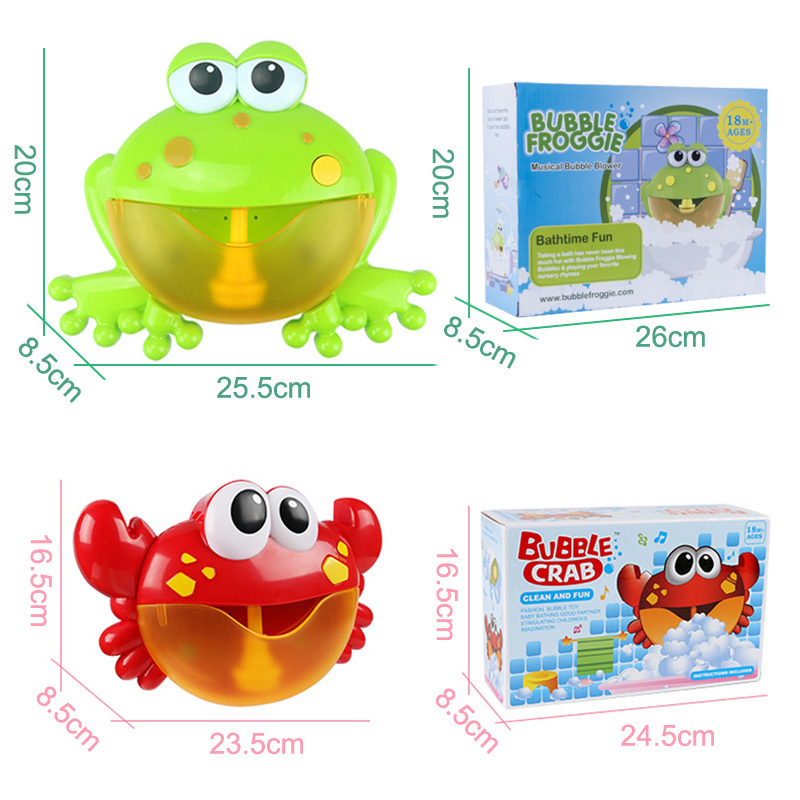 Package inlcudes: 1 bubble maker machine and 1 user guide. 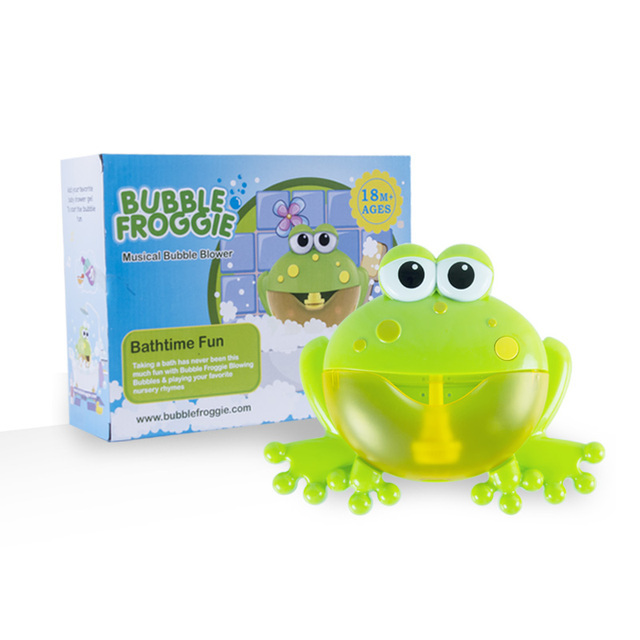 Do not use concentrated shower gel solution which can reduce the effectiveness of bubble production. 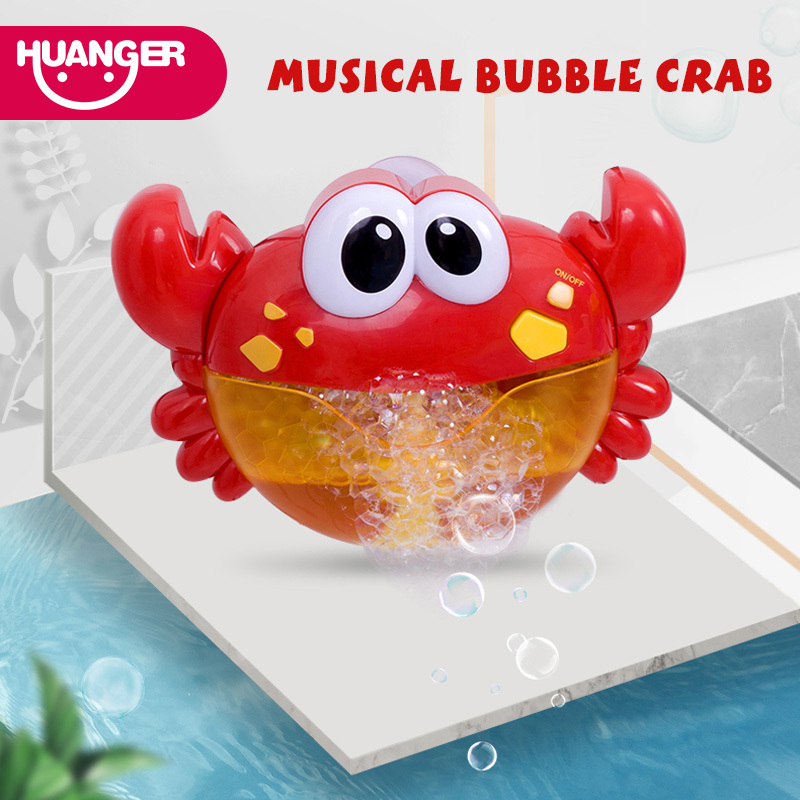 Please use this product only under adult supervision to prevent the shower gel solution from overflowing which may cause the bathroom floor or bathtub to become slippery. Attach the product on FLAT surfaces only. 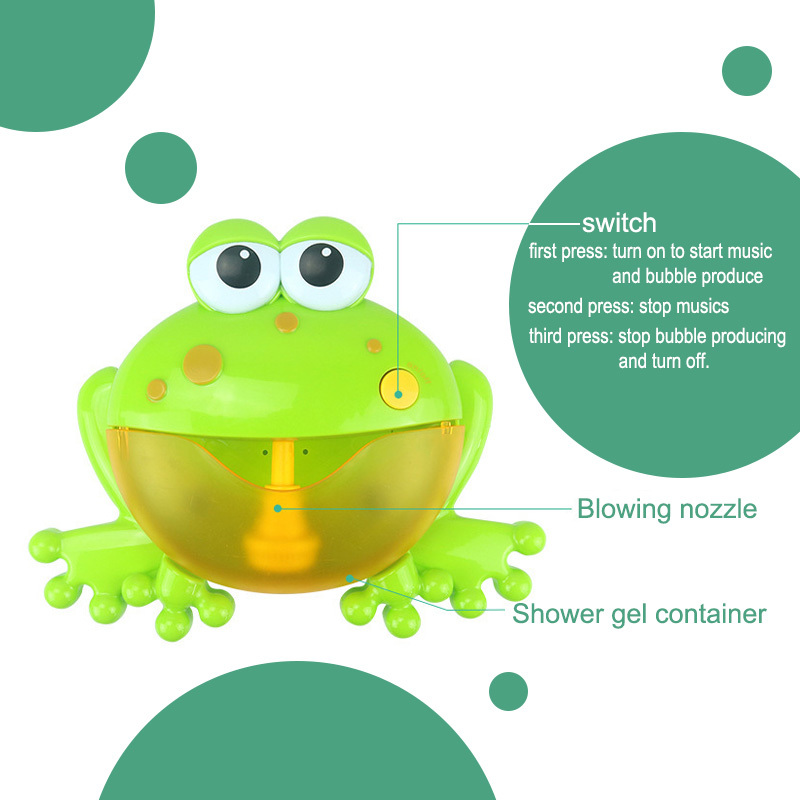 Clean the bubble liquid container and the blowing nozzle thoroughly with warm water after use. Scroll down to see detailed images and information. Such a cool frog! I thought the size would be smaller. Let's see how the bubbles will make. The box came crumpled, with holes. I thought the frog was all beaten inside, but no. No scratches. Powered by 2 aa batteries. A screwdriver is included. Thank you to the store for the gift!